Exfoliate even the most sensitive skin with the Enzymatic Exfoliant. It contains fruit-based enzymes, papain and bromelain, which gently yet effectively remove keratinised skin cells without the use of granules. The enzymatic activity of this gel exfoliator is increased with the addition of steam. The ever-popular Micro Exfoliant is the preferred exfoliator for instantly smoother skin. It contains ultra-fine powder to gently polish away keratinised skin cells. This emulsifying formulation transforms into a milky texture with the addition of water to remove all traces of oil and daily pollution. 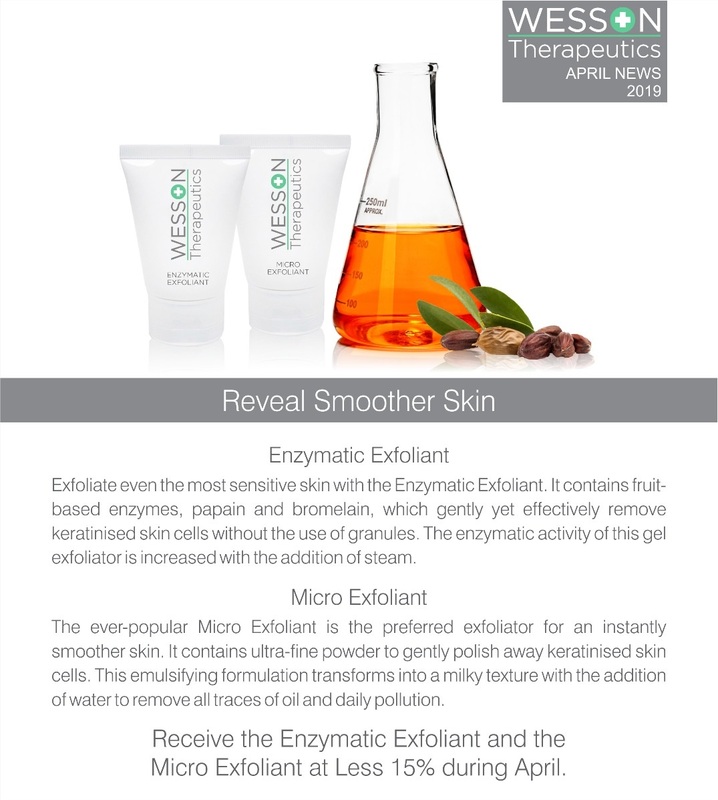 Receive the Enzymatic Exfoliant and the Micro Exfoliant at 15% less during April.